Happy Thursday to you! It's Rhonda here today to host the blog for you today and share a project that I created using pieces from our May Club Q kit and of course some of our PowderPuff Chalk Inks. 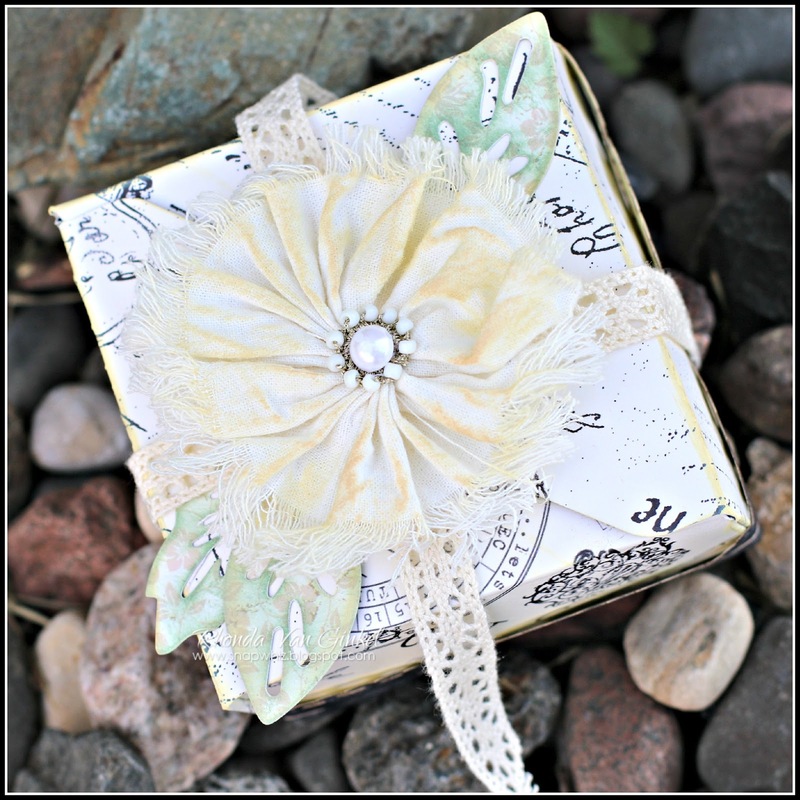 I started by creating my little gift box from one of the square cuts provided in the kit. Once assembled I inked the edges with Antique Linen PowderPuff Chalk Ink. I added the pretty scalloped trim which I added some Midnight Confessions PowderPuff Chalk Ink to the bottom of the box. The "Color Me Crazy" Petaloo fabric flower was inked with Latte to give a bit of vintage feel to it. You can see the leaves have a pretty soft green color courtesy of Sea Foam PowderPuff Chalk Ink and I touched the edges with Warm Sand. The pretty trim was the finishing touch. this box is so pretty!